I still love this little thing. Looks like a cart-sized LMP1 car. It would look 10 times better in black though. 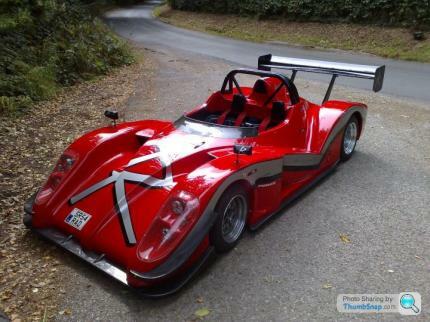 This car in the pic is a 1.3 Hayabusa. Better stats! Are you arguing with yourself Georg? I expected the SR4 to be able to run a sub 1 minute time. what the hell are you talking about... the SR4 was tested by best motoring with 12.368s 1/4mile..and 1:00.289 is new production car lap record!